I think this block would be wonderful to use as the basis for a colorful scrap quilt. 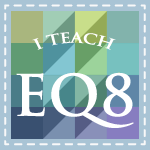 I'll have to play with it in EQ, but I'm thinking I would combine it with another block (TBD) to make a bed-sized quilt. I follow Inspired by Fabric with Feedly. This is my favorite block so far. I would use it in a quilt and some throw pillows . I love paper piercing too. Gorgeous block. Thank you so much! Wow, quite an impressive block. I think it would look great as the front and back of a bag. I follow Inspired by Fabric via email. I follow Inspired by Fabric via email. I love this block and think a simple quilt of these blocks would be great. I follow Inspired by Fabrics. I would use this block for a tote. Thank you for the detailed tutorial and the printable foundation block. Hi,follow Inspired By Fabrics on Blog lovin'!Thanks for sharing on your blog today! I'd like to use this block in a bed quilt soon! Thank You for a neat giveaway too! I'm following. I think several of these blocks would make a great wall hanging, or possibly the central medallion for a larger quilt. I've signed up! I would use this block in a pillow. Love it! I follow Inspired by Fabric. This block would be great for a scrap quilt, or several blocks for a table runner, or like Margie said, for a pillow. Great job on the tutorial and the block is beautiful! It makes me think of Indian blankets. I follow Inspired by Fabric's blog. I think I would like to use these blocks in a wall hanging...I like the movement. I follow the Inspired by Fabric blog. The block would be perfect incorporated in a pillow. I signed up for Inspired by Fabric blog newsletter. I would make a patriotic quilt with the block design. I follow Inspired by Fabric. I thought your block would make a perfect tote or maybe a table runner with a few of them. I already follow Inspired by Fabric via email. I think this block would make a fantastic pillow. Would look great in my family room. I follow Inspired by Fabric on bloglovin! This is a lovely block! I signed up again, just in case. I would make a quilt of course. Love the block! I follow Inspired by Fabrics via Bloglovin. Love the block...I think it would look great as a table runner for the 4th of July! I am already subscribed to Inspired by Fabric to receive posts via email. Although your block was designed for Vintage Shirtings, I can envision the pattern used for a Southwest motif using teals and golds. I love both of them! I have never paper pieced. This might be my first time if I do these. I would make a mini quilt for my buffet table in my dining room! I am signed up at inspired by Fabric and my email is Jerushafields@gmail.com. Great block. I could see it in a table runner. I follow Inspired By Fabric by email. Love the block. I follow Inspired by Fabric by email. I am subscribed to posts from Inspired by Fabric. Would love to use this block in a table runner. Beautiful blocks, thanks for the tips.I love and enjoy paperpiecing patterns and would make a cushion or a bag with the block. I do follow Inspired by Fabric by email. i follow Inspired by Fabric bu e-mail notice. I alos follow Morning Glory blog because Reeze has amazing designs! I think I would use the block to make a book tote because I just love it! I follow Inspired by Fabric by email. I love the accuracy of paper piecing and would use this block for throw pillows or a tote. Thank you for a great block and tutorial! I follow via email! I LOVE PP patterns! I would use this block in a quilt!! I also love vintage shirting prints!! I follow inspired by fabric by email. I would use this block in a sampler type quilt. I already get Inspired by Fabric by email. Thanks for the free pattern. I plan to use it to practice my paper piecing skills and may use it in an upcoming class I'm teaching for beginners, if that is ok. I follow Inspired by Fabric with GFC and email. The block would be great for a table runner. 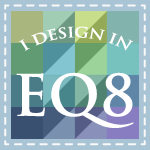 Just signed up to follow Fabric Quilt by email. Love this shirting fabric. I would make a table runner with your block. I follow Inspired by Fabric via bloglovin. A row of these Zig Zag blocks would be an awesome way to perk up some plain bed linens. I would like to use this block as the center of a wall hanging! I follow the Inspired by Fabric blog by email. I follow inspired by fabric by email and blog. Your block would make really striking pillows! I'm an email follower and this block would look great in a project I currently have going! I absolutely adore shirtings. I plan on using the blocks in this hop to make a quilt---just for me! This block would really lend itself well as a scrap project. I must admit I am not a paper-piecer so this will be an "out of my comfort zone" block for me. Thank you for sharing. I follow Inspired by Fabric via email...it's a great site! I follow Frbric by email. I think it would be fun to make the center of the block scrappy and have the outside of the block the same to have a secondary block form when putting four blocks together. I follow IBF on Bloglovin. I would use this block in a sampler quilt. Love your block! Not sure how I will use it, but I intend to -- maybe a runner or topper, for starters. I follow Inspired by Fabric by email. I get Inspired by Fabric by email. I would make a table topper with your wonderful block. Thank you for a chance to win. It's fun to see how the block changes with the switch of the fabric colors; love it. I'm not sure what I would use it for, but I make mostly quilts, table covers or wall hangings so probably one of those three. I follow Inspired by Fabric via email. I follow Inspired by Fabric via Feedly. Love your block - I try it out as a table runner. Thanks. I follow Inspired by Fabric through Blog Lovin. I would use your block for a quilt for one of my nephews. It has a nice masculine feel to it! Oops! The email should be scotty4me39@yahoo.com! Thanks for this tutorial! Great job that makes me thnk I could do it! I follow Inspired by Fabric on Bloglvin. I would definitely use these fabrics in a quilt, ptobably for a grandson. This block would be ideal! Gloria, Congratulations, you are the winner of 3 free patterns from MorningGloryDesigns.com. Please let me know your choices in an email so I can send you links to the downloadable patterns! Thanks for hopping with us! Your block is wonderful. I think I would make place mats. I follow them by email. I follow via email. I would use this block with an Ohio Star block in a quilt. I would like to see if there are any secondary designs. I follow via email. I think it would look great in a table runner. Nice pattern. I follow Inspired by Fabric via email (wordygirl at earthlink dot net). I would use your block as part of a sampler quilt--I love making those, as they hold my interest and are a great way to quilt from my stash. I follow via email. Great block! I would love to use it in a sampler or a table runner. Thanks. 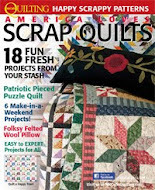 I receive their newsletter, I would use this block in a sampler. I signed up and follow their blog! love your block - I would use it as a front for a cushion or bag! thanks! I'm following the blog by Gmail. A friend of mine's son is getting married and for the rehearsal dinner, we are putting together various framed blocks as table center pieces - this one would be perfect! I flow Inspired by Fabric on Bloglovin. I would use this block in a sampler quilt. I love the design and all of the blocks featured. Good Day Reeze, I love anything Southwest or Native AMerican and your block lends to that. Thank you for the foundation piecing tech on the HST's. Pillows, lot's of pillow's I would make for a bench in my outside reading space. I'm a subscriber of Inspired by Fabric's blog/email. Thank you so much for your inspiration. I really like the layered look of the second version of your block. I think it would be fun to use the block as a single block quilt, orienting it in different directions to play with secondary patterns. I might also play with pieced sashing. I follow the Inspired by Fabric blog by e-mail. I just signed up to follow the Inspired by Fabric blog. Thank you for the paper piecing tips. I would use the block in a sampler. I haven't made one in a while and would like to make one in my favourite colours. I would use it for pillows and a coordinating wall hanging. What an amazing block! WoW! Love your block! It's my favorite so far. I haven't done much paper piecing but I better start, hehe. I'm a follower of Inspired by Fabric via BlogLovin. I'd use your block as the middle of a medallion quilt. I follow Inspired by Fabric on bloglovin'. So strange--didn't get your post until today, 23rd. Fortunately I also follow Inspired to Sew via email so I already downloaded your block. It's great! I think the block would be great for a 4th of July table runner.....I signed up for 'Inspired by Fabric' for the blog. Thanks for the info. I love paper-piecing, thank you for the wonderful tutorial and also the templates! I will probably use this block in a Quilt of Valor-I need to make one for my cousin. He is the last member of my family with a military background. I follow Inspired by Fabric by email.